This is a lot like the situation that ecologists often face when designing sampling protocols for field surveys. While a comprehensive survey will yield the most complete information, few of us have the resources to capture every member of the community we’re studying. So, we take representative samples instead. But the method(s) used for sampling will only allow us to collect a subset of the species which are present. This selection of the species is not random per se – it’s dependent on species’ life history. 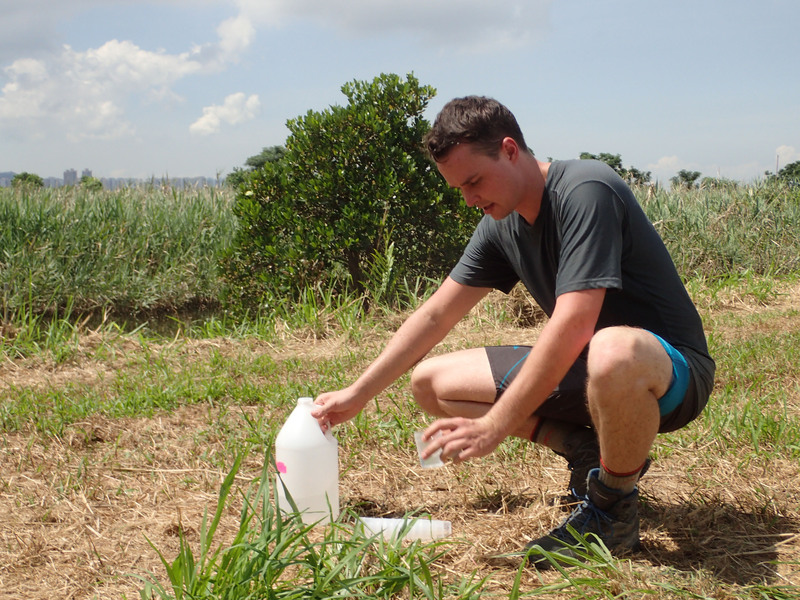 As part of my PhD, I’m leading a project on the ground-dwelling ant community in Hong Kong. These creatures have drawn me into another world – a magnificent microscopic horizon just at our feet, yet so far from our imagination. One of my goals is to understand the potential processes (niche- versus neutral-based) shaping ant communities by using a functional trait-based approach. A major advantage of the trait-based approach is that it provides a more direct understanding of what different species actually do. This is especially useful for groups like the arthropods for which many species remain undescribed and many more are ecologically unknown. Ant species with contrasting size are commonly encountered in the field. To characterise species communities as accurately as possible, I used several sampling methods across multiple habitats. These included two widely used techniques: pitfall traps and Winkler extractors (Winklers) (here’s a step-by-step video guide on using Winklers). I found sampling ants to be similar to fishing, except that I was “fishing” these ants from the ground layers… and I never came back empty-handed (thanks to their abundance!). One evening, while we were processing the specimens, the differences in the morphological patterns of the ants sampled by pitfall traps and Winklers caught our attention. It is well documented that pitfall traps often allowed us to catch species with larger body sizes, while Winklers gave us smaller specimens. Whether the sampling methods created non-random biases in other morphological traits and thus the overall functional diversity were less clear though. This led to our idea to do a comparative study. Mac setting up pitfall traps in the field. It was possible that asymmetrical functional trait patterns of identical communities could simply emerge because different sampling methods were used (just like the idea of fishing – the things that species do affect the methods by which they can be collected). If this non-random filtering of traits is overlooked, it may bias the estimation of functional components as well as the detection of underlying assembly mechanisms. Such biases could influence our understanding of how abiotic and biotic conditions affect species composition – especially for species-rich arthropod communities, like ants. This realisation was the inspiration behind our Methods in Ecology and Evolution article: ‘Choices of sampling method bias functional components estimation and ability to discriminate assembly mechanisms’. 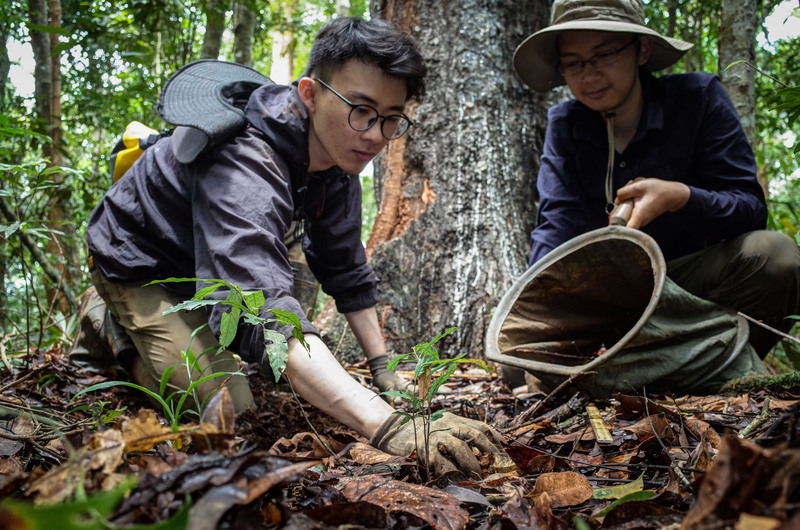 Thinh and Runxi collecting leaf litter in a forest for sifting. We found that the sampling filters emerging from the use of different methods affected the trait composition and diversity of ant communities asymmetrically. 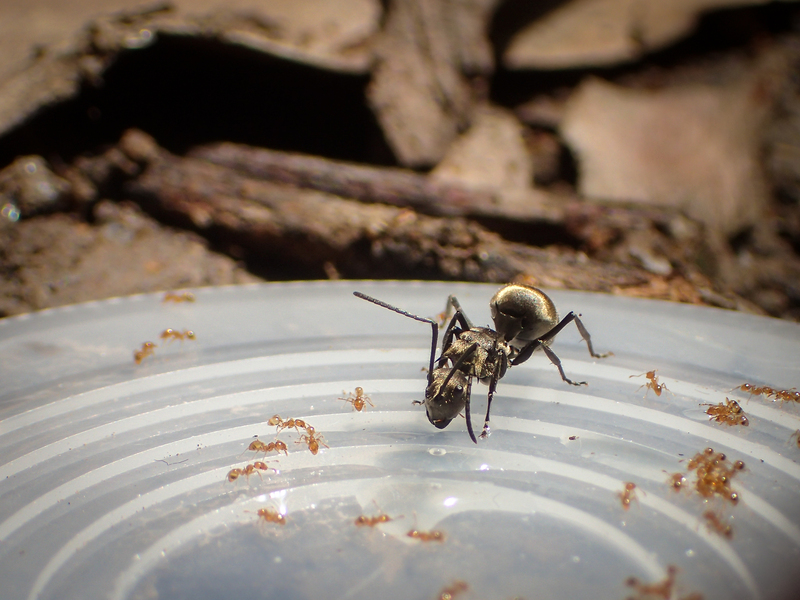 For the same site, pitfall traps were dominated by larger, slenderer and longer-legged ant species than those sampled by Winklers. Winklers also underestimated the diversity of individual traits related to body size, as well as the size and filling properties of multidimensional trait space. These results highlight that the use of particular sampling methods without prior knowledge on their potential filtering effects on traits can affect the detection of assembly processes. Your sampling methods will also have an impact on your interpretation of functional proxies, such as body size. While pitfall traps and Winklers are commonly-used in arthropod studies, similar passive sampling approaches and associated biases have been detected in plant and vertebrate studies. These usually cannot be post-adjusted or eliminated (in contrast to abundance or species richness which could be corrected). 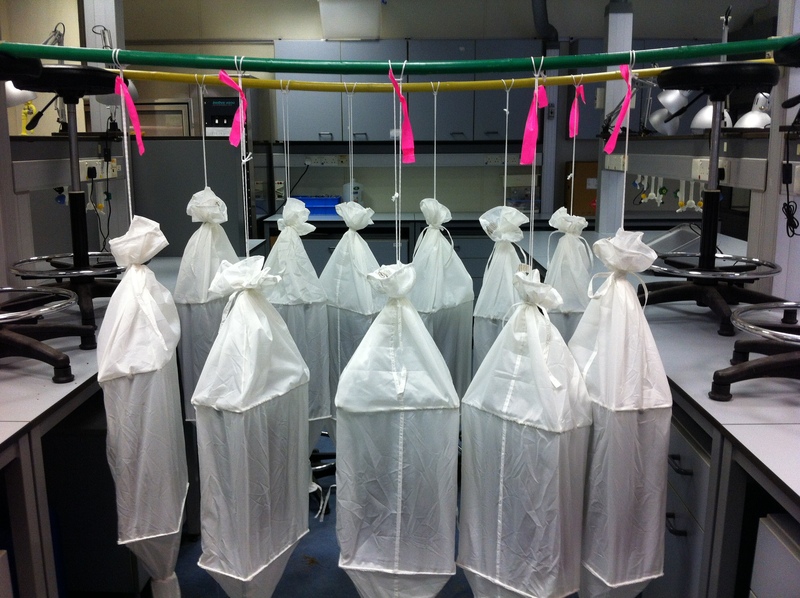 Sifted materials are hung in Winkler bags for extracting the arthropods. In planning sampling designs, a careful consideration of how different sampling methods may filter particular traits (e.g. size filtering) is a crucial step for a sound functional trait-based approach. This will help reduce biases in our understanding of species assembly processes and predictions of species responses in ecology. Apart from having a great time looking at the morphologically diverse ants, I learned an important lesson from this project: when I am now observing nature, I always remind myself that what I have seen is only a portion of what I could have seen! To find out more about sampling filtering, please read our Methods in Ecology and Evolution article ‘Choices of sampling method bias functional components estimation and ability to discriminate assembly mechanisms’. This entry was posted in Conservation and management, Field Methods, Methods papers, Second Language Post and tagged Ants, arthropods, Functional Diversity, Functional Traits, Pitfall Traps, Sampling Designs, Sampling Methods, Sampling Protocols, Winklers Extractors by Chris Grieves. Bookmark the permalink.